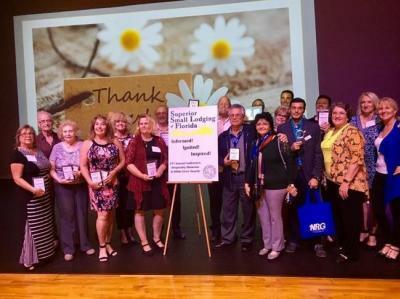 GREATER FORT LAUDERDALE, Fla. (January 24, 2019) — The Greater Fort Lauderdale Convention & Visitors Bureau applauds 31 Superior Small Lodging properties for winning the prestigious Donal A. Dermody White Glove Award for housekeeping excellence. The Superior Small Lodging Association’s White Glove Award recognizes those properties that have achieved excellence in cleanliness and received a 100 percent score on that portion of their inspection. Superior Small Lodgings are welcoming, high-quality vacation alternatives with 75 rooms or less, perfect for a getaway or special time with the family. The Super Small Lodging collection is distinguished by friendly ambiance and personalized service. For more information, visit sunny.org/ssl.